Every website needs to have a full screen display. It cannot cover just a small strip of screen space, especially at a time when widescreen monitors have become a norm. Laptops and tablets as well as some bigger mobile devices or smartphones require websites to have a full screen display. Imperatively, you would need some free full screen WordPress themes to develop such sites. It doesn’t matter if you are building a responsive site, a traditional website or a website with a mobile first approach. You must choose full screen WordPress themes. 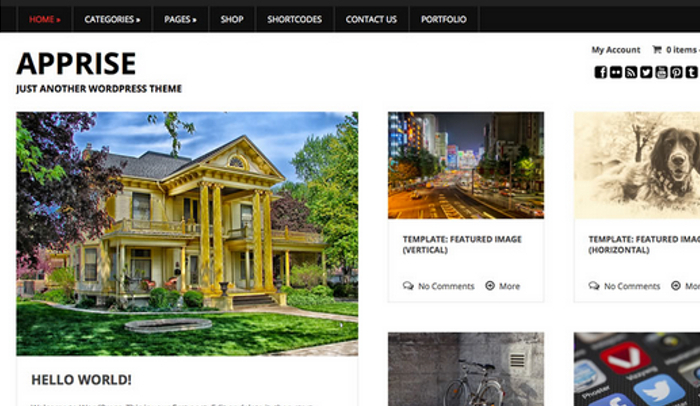 Here are some of the finest free full screen WordPress themes you can work with. Fullscreen Lite is a simple one-page theme that would work well for companies requiring a landing page or whoever wants to make a single page website. The theme is light, thus facilitating a quick response on multiple browsing devices. The theme is neat with a minimalist design and is thus ideal for portfolios, creative websites and for photographers or artists. There are several options for layouts and the modular homepage makes the theme relevant in the era of search engine optimization and redirected traffic. Gaga Lite is a very elegant theme. 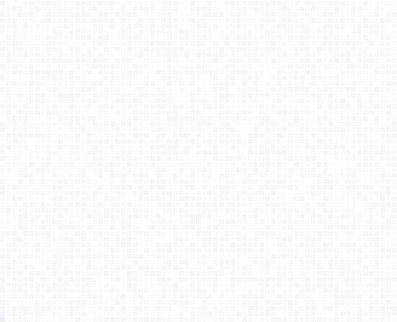 That it is a full screen template is given. The theme comes with an integrated customizer that is extremely easy to use and you can develop a unique site with slight tweaking of the various modules. You can work on the heads, layouts, full screen sliders, counters, portfolio layouts, pricing table, footers, call to action and every element of the blog as well, among others. You can also play around with the typography, the theme colors, the languages and the parallax effect works well with the other design elements. It is a responsive theme that can be easily optimized and there’s a full demo available that you can check out to make up your mind. The Cordillera theme blends parallax background image with nifty section settings to offer a clean landing page but it can delve into great detail once the sitemap is worked on. The flat design accentuates the visual appeal of the theme. Developers can work on the full-width display or get into sectional displays with multiple columns. The theme is compatible with commonly used widgets and you can have full screen banners. 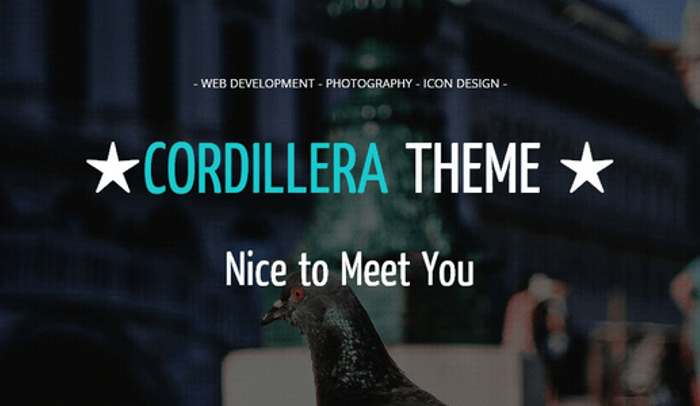 Powered by Bootstrap along with CSS3 and HTML5, Cordillera is a responsive theme. 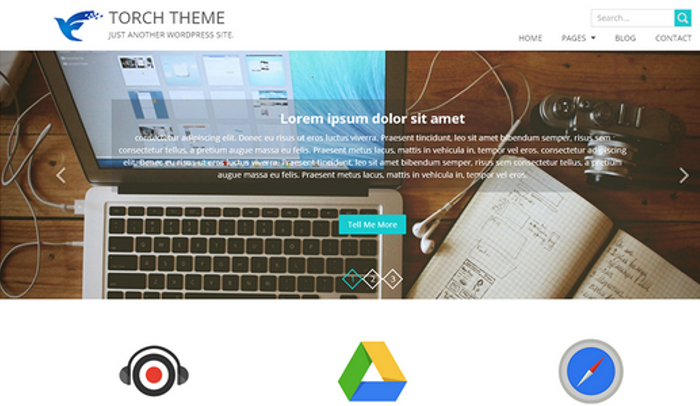 Torch is one of the lightest of free full screen WordPress themes. There are custom widgets that can be added to the homepage. The theme comes with various widgets in the form of contact forms, testimonial section, slogan, services and others. Every widget can add a distinct element to the design. You can choose to have just three widgets or you can go the distance. Powered by Bootstrap along with CSS3 and HTML5, the theme is completely responsive and the customizer allows you to work on every element of the layout and design, from sliders to custom sidebars among others. Apprise stands out for many reasons and the homepage with its convenient and eye-catching layout is just one of the elements. Apprise offers a responsive design, it has an advanced admin panel, the posts layout is quite unique and the entire home page is customizable. From custom logos to sliders, featured images to the different sections of the website leading to various pages, everything can be tweaked. 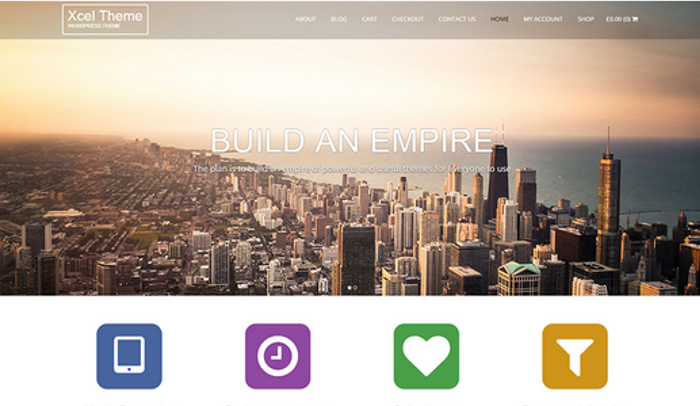 The theme comes with unlimited colors, Google Fonts, customizable headers and footers, widgets and menu. You would get localization support and easy social links integration. Many of the full screen WordPress themes listed above can be used for personal and business websites. 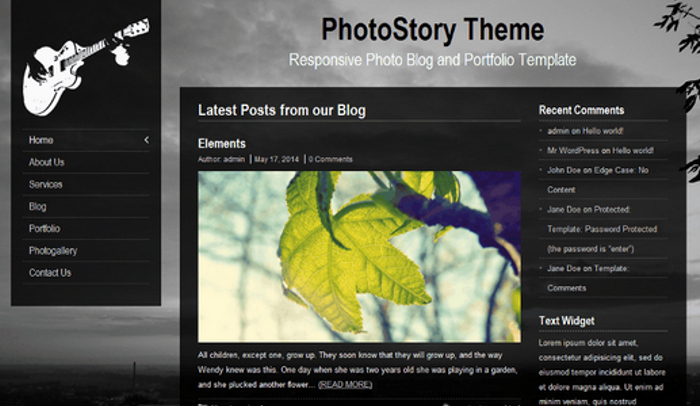 But PhotoStory is best for personal or professional use for artists but not ideal for websites. That is not necessarily a shortcoming because the fully customizable PhotoStory has a really charming presence. The theme is fully responsive. 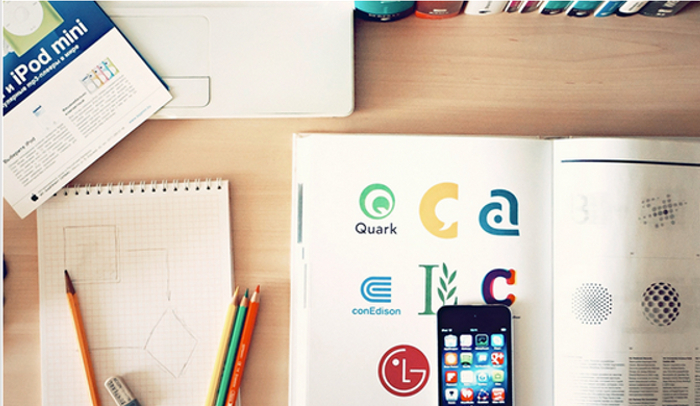 There are five color schemes and more than two hundred fonts to choose from. There is a Theme Options Panel that can be easily worked on to determine the sizes of background images, the placement of widgets and their exact design elements, the title, heaters, footers, sliders and you can choose from more than a dozen languages including English, Spanish, French, Italian, German, Russian, Dutch, Greek, Danish, Czech, Polish and Slovak among others. The Xcel theme as advertised is ready to launch. It is a responsive design and you may not even want to tweak the preset settings because the design just works. The layouts, the color schemes, the sliders and the plug-ins that you can work on make Xcel a very useful free full screen WordPress theme. 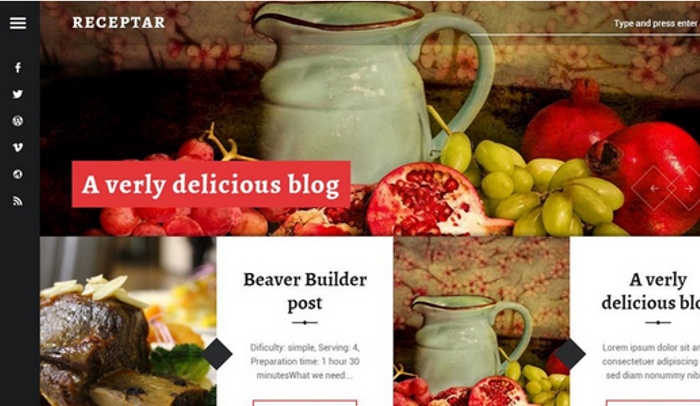 The Receptar theme is vibrant, colorful, responsive and completely customizable. In one word, the theme is stylish. Work on the split screen appearance without compromising the full screen display. Tweak the use of plug-ins, work on the typography and imagery, check out the simple page builder and the theme is translation ready.